This topic contains 3 replies, has 3 voices, and was last updated by Michael Horne 5 years, 11 months ago. 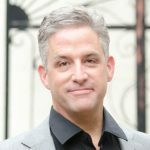 Let me start by introducing myself — my name is Roberto and I was born and raised in Bologna, Italy until I was 25 years old. Until just a few years ago, Americans mostly knew of my hometown by association with a type of cold cut by Oscar Mayer, sold in supermarkets all across the USA. Unfortunately, the name of this tasty cold cut was not being pronounced in the Italian way (“Boh-LOHN-ya”) but instead as “baloney” – a transformation that surprised and puzzled me. I must confess that I was a bit disappointed and frustrated with this naming mix-up, especially when so few Americans knew much about my hometown – a beautiful, peaceful, engaging, attractive, vivacious, generous, welcoming, and delicious city with millenarian history, food, culture, traditions, academia, and arts. 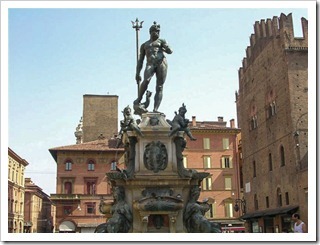 Fortunately, over the past few decades Bologna has become included more and more in tourist destination travel plans. A few great chefs from the region brought Bologna’s rich gastronomic tradition and awareness back to the States. 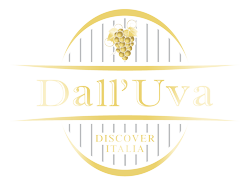 Michael White from Wisconsin, who worked at the great San Domenico Restaurant in Imola (25 Km outside Bologna) for 7 years, now owns several New York establishments serving delicious food from Bologna and the Emilia-Romagna Region. Ever-popular Mario Batali spent a couple of years apprenticing at a restaurant just outside Bologna in the early 90s, and now he shares his Bologna-inspired cooking at his restaurants. 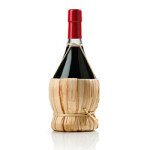 Even more recently, Lambrusco – the typical red, sparkling wine from around Bologna – has experienced a great resurgence in America. Bologna has risen – and righteously so – placing itself where it belongs, at the top of the Italian food scene. Even though some Americans may still think about the pink cold cut in a plastic sleeve hanging in the meat section of a grocery store when they see the name Bologna, the majority of my American friends direct their gaze across the Atlantic Ocean, possibly licking their lips and putting their hand over their heart as if to say, “Oh, Bologna! What a wonderful city! Its Porticos, its people…and the FOOD!” All this makes me very happy, and if I can help those of you who haven’t gone to Bologna yet, but are planning to in the near future, even better. I’d like to start by focusing on three specific qualities of Bologna, qualities that are historically associated with the city. 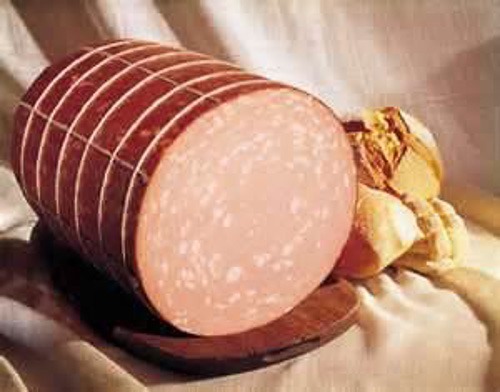 Bologna is called La Dotta, La Grassa and La Turrita – the Learned, the Fat, and the Towered One. When you arrive in Bologna, you should focus exactly on those three things, especially if you have only a couple of days to spend. 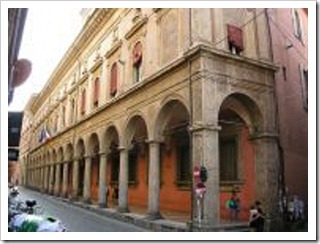 Bologna hosts the oldest University in the world, at least the Western world. Founded in the year 1088 the University will celebrate its 925th birthday this year. The University doesn’t have a campus like colleges in America. As a matter of fact, the whole city is its campus. Its buildings host different schools, classrooms, science labs, administration, and libraries that are scattered all over old, medieval Bologna. 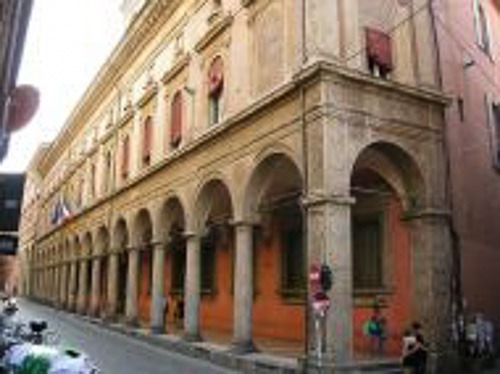 Many other historical buildings connected with the University can be found along Via Zamboni: Palazzo Magnani at street #20 and Palazzo Poggi at street #33 being two of the most recognizable buildings, the latter hosting the Museo della Pigola (tele: +39.051.209.9360) where a 700 year old Astronomic Tower houses important instruments used by 1600 Bolognesi Astronomers to study modern science. The University Library at street #35 can be visited and explored. Several churches are along Via Zamboni with the Basilica of San Giacomo Maggiore at street # 20 being the oldest – 1300 AD – and most preserved. If you walk the whole length of Via Zamboni, about 1.6 Km, you will end up at Porta Zamboni, one of the twelve gates of the ancient walls built in the Middle Ages. Lastly, along Via Zamboni you can find charming Bars/Coffee Houses for a nice Espresso, other refreshments, and light lunch fare. 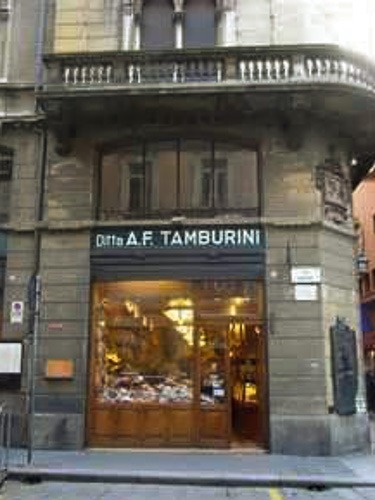 Bologna’s rich, abundant, and opulent culinary tradition finds its source from the fertile and generous Pianura Padana – the Padana plain that surrounds the south side of the city and continues all the way Northwest and Southeast from Piedmont to Romagna and as far North-Northeast as Milan, Brescia, Verona and Venice. 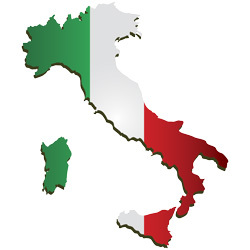 Just to give you a statistical fact, amongst the many Italians who have migrated around the world in the last two centuries, the Bolognesi (Bologna citizens)in particular and Emiliano-Romagnoli in general, represent the lowest percentage of Italians abroad. Why, you may ask? It’s very simple: The richness of the land and the many agricultural products and large number of stock animals kept the people of Bologna and other regional cities like Modena, Parma, Reggio Emilia, etc., all contented to stay at their homes. No need to look for work, food, or the pursuit of happiness, because all that and more was just within arm’s reach. 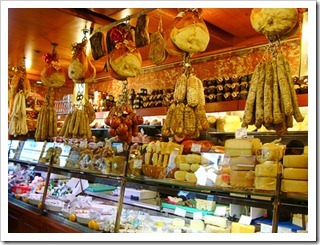 Italians from all different Cities and Regions vouch for Bologna’s culinary fame and appreciation. 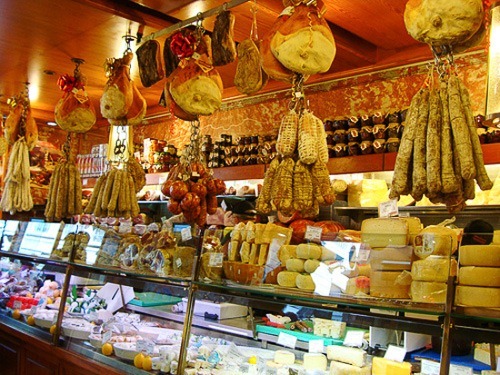 As much as people from Florence, Rome, Turin, Milan, Palermo or Naples love their own culinary traditions, it’s not uncommon to have them say and agree upon Bologna being the capital of Italian food. Tortellini are made starting with a 1-3/4” squared section of thin rolled pasta dough hosting in its center a small ball of filling made of pork loin, prosciutto, mortadella, Parmigiano Reggiano, eggs, and nutmeg. Two angles of the square are then folded over the filling as to form a triangle and the edges gently pressed together with the tip of a finger. The last part is the most delicate one: the edges of the triangle are twisted around your finger, then the dough “ring” closed with a light pressure of the finger tip. Voilà, Venus’s belly button is right there in front of you. That is indeed the idea for the shape of the pasta: a replica of the belly button of the Greek Goddess of Love and Beauty, as seen by a common mortal through the keyhole of a door behind which the gods Mars and Venus had a romantic rendezvous. 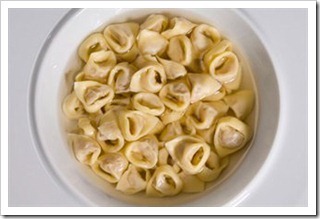 Mythology aside, Tortellini are made to be eaten in a Capon broth so that the liquid can penetrate the Tortellino and extrapolate and transport all flavors from the filling to the broth in a serving bowl. However less traditional recipes pair Tortellini with Cream, Ragu’, and Tomato sauces as well. 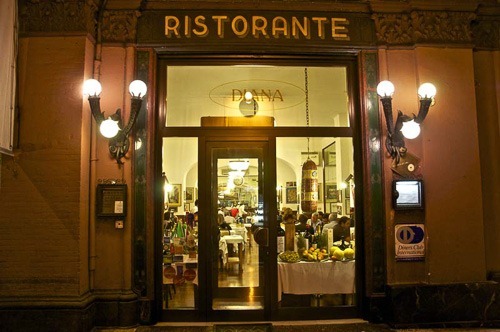 The best Tortellini in Brodo (broth) are good everywhere in Bologna but in my opinion the best restaurant serving this traditional dish is Diana (Via dell’Indipendenza 24, Bologna Center – Tele: +39.051.231.302). They also serve traditional Lasagne Verdi (“green lasagna” made with spinach dough) and Tagliatelle al Ragu’. 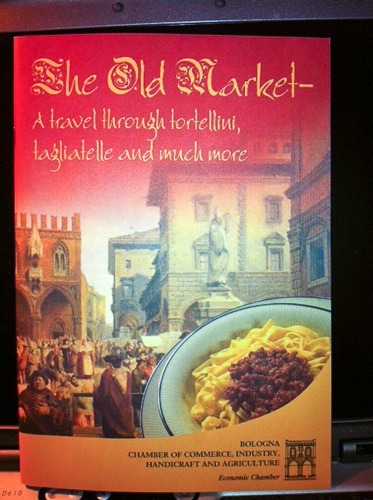 Their Carrello di Bolliti Misti – literally a cart with mix boiled meats – is also very good. I would definitely finish with Torta di Riso – rice cake, but it has nothing to do with what you think it might be – and a nice Espresso Corretto, the traditional expresso “corrected” with a splash of Nocino Liquor. Il Pappagallo (Piazza della Mercanzia, Bologna Center – Tele: +39.051.232.807 – inside a XIV century old building) Note: when in Piazza della Mercanzia, stop by the Chamber of Commerce, Industry, Handicraft, and Agriculture inside the Palazzo della Mercanzia and pick up a free booklet called “The Old Market.” In there you will find 27 authentic and registered recipes of the most traditional and typical dishes that are part of the culinary history of Bologna. Rodrigo (Via della Zecca 2/H, Bologna Center – Tele: +39.051.235.536). Battibecco (Via Battibecco 4, Bologna Center – Tele: +39.051.223.298). Fabio (Via del Cestello 2A, corner with Via Castiglione, Bologna Center – Tele: +39.051.220.481). San Domenico (Via G. Sacchi, in Imola outside Bologna – Tele: +39.0542.290.00). For the best Gelato of your life (trust me! ), you can’t leave Bologna without visiting is La Sorbetteria Castiglione (Via Castiglione 44, Bologna Center – Tele: +39.051.233.257). 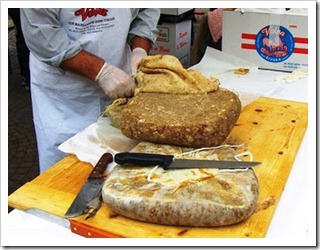 Mortadella – This is the classic pork product from Bologna. Have a few slices inside a nice Baguette, nothing more, nothing less – the best! 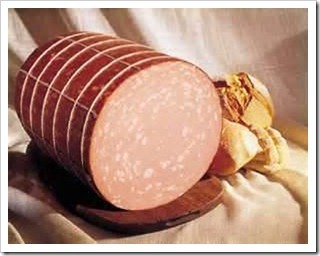 Ciccioli – Another typical pork product. You can have soft Ciccioli – sliced in a sandwich as well – or crunchy as a tasty snack. Both are usually found in the market from October to April. 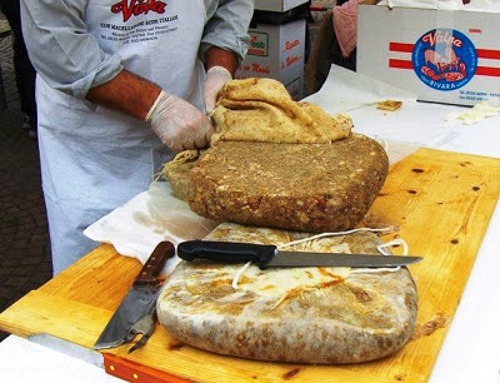 Cacciatorini Nostrani – Local small salamini attached to each other by a string. Castagnacci – Chestnut cakes (mostly in the winter). And of course, even though they are not from Bologna per se, Parmigiano Reggiano, Prosciutto di Parma e Parma Cotto, Porcini Mushrooms, White and Black Truffles, and Aceto Balsamico di Modena (balsamic vinegar) aged in wood barrels up to 100 years. 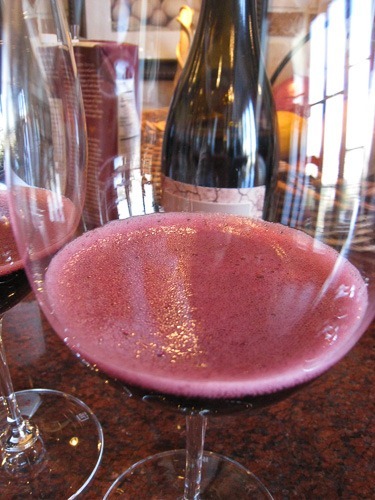 There are many wines that the region is famous for, but Lambrusco is hands-down the most popular and familiar with Americans. 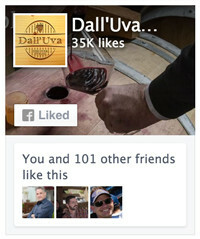 This isn’t the super-sweet, ultra-purpley wine your parents drank when you were a kid. 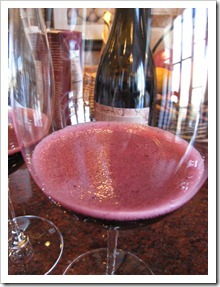 Give Lambrusco a try while you’re there, it goes well with many of the dishes I mention above. While you’re out there, don’t forget to try some of the up-and-coming wines from regional producers using regional indigenous, Italian peninsula, and international varieties of grapes. 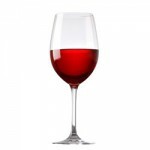 If you see these on your wine list or in shops, give them a try: Sangiovese di Romagna, Trebbiano, Albana di Romagna, Colli d’Imola Pignoletto, Colli d’Imola Sangiovese, Colli Bolognesi Pignoletto Classico, and Monte San Pietro Pinot Bianco. 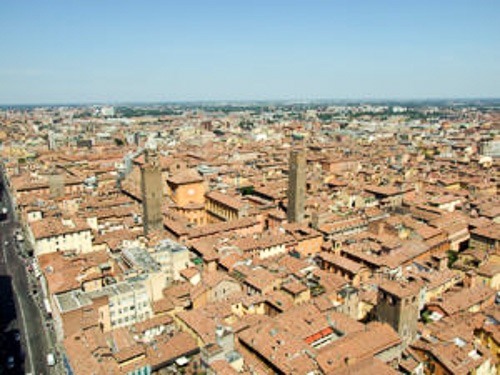 During the time of Dante Alighieri in the 13th Century, the Bologna skyline was dotted with more than 1,000 towers. Unfortunately, the majority of the towers were destroyed by natural events, or by man due to the inability to keep up with the cost of maintenance, or when streets needed to be widened, or when construction bricks were in high demand (a sad disgrace, I know). Although most of those beautiful and solemn towers came down over the centuries, a few remain in the old center of Bologna and are well worth a visit. As I mentioned before, the symbol of Bologna are The Two Towers – Le Due Torri – named Garisenda and Asinelli after the two noble families that erected them in 1109-1119. The two towers have both become leaning towers, with Asinelli leaning considerably less compared with Garisenda. Garisenda Tower was nearly 195 feet (60 meters) tall, but for safety reasons it was shortened in the 14th century when its foundation partly collapsed and sank into the ground. 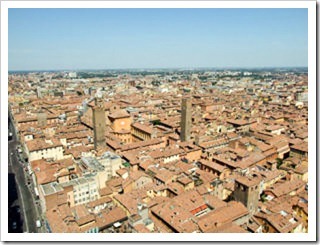 Asinelli Tower is 315 feet (97 meters) tall – the highest point of view in Bologna – and can be visited during the day. Inside the Asinelli Tower there is a wooden, narrow staircase of 498 steps that take you all the way to the top, offering a spectacular view of the city and its Roman urban shape and streets. Once you descend the Asinelli Tower and are back on the street, a short walk along Via Rizzoli will take you to nearby Piazza Maggiore and Piazza del Nettuno. Piazza Maggiore is a large square with stunning Medieval buildings all around its perimeter, including the fifth largest Catholic cathedral in the world, named after Saint Petronio, the city patron saint who was bishop of Bologna in the 5th Century. Go inside the cathedral to enjoy the sight of the longest sundial in the world – 217 feet (66.8 meters) – among other interesting and fascinating historical facts, art pieces, chapels, and anecdotes. Once you exit the Saint Petronio cathedral, walk northeast until you reach nearby Piazza del Nettuno. Stop at the center of the square and stand still for a few minutes. Look around and soak in the beauty and history surrounding this spectacular site. The buildings that frame the Piazza are architecturally and esthetically magnificent, with grand histories and stories of the families and community characters who lived and died there centuries ago. While Piazza del Nettuno is smaller than its big brother Piazza Maggiore, it is no less magnificent. 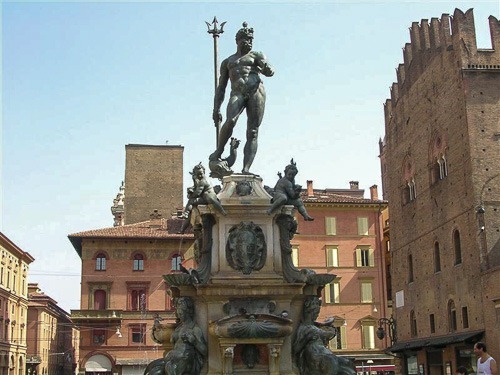 The bronze statue of a naked Neptune holding his trademark three-pronged harpoon and reaching out with his left hand to control the waters, is positioned at the top of a pink marble fountain centerpiece adorned with smaller bronze pieces of lactating Sirens and Cherubs. The statue is simply majestic and sensual, all at the same time. Hang around the square for a while, and perhaps sit on one of the fountain’s marble steps to mingle and speak with other fellow visitors. 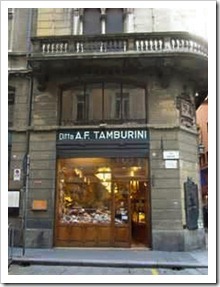 Or simply enjoy the weather, eat a Gelato browsing around and looking at the Bolognesi passing by. A short walk away, going back towards the Two Towers, and just South of Piazza Maggiore, I recommend you visit the Market Area, which is, in my opinion, the very heart of the city. There, you can find narrow, charming cobblestone courts vibrantly busy with pedestrians shopping at the many small, family-owned food shops displaying the very best the day can offer. Look around for fresh produce, meats, poultry, game, fish, and seasonal delights. 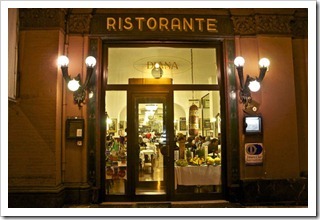 You can also find cozy cafes, pubs, and restaurants offering patio dining where you can eat a gourmet lunch for a few Euros, drink a glass or two of Trebbiano Frizzante (a local sparkling white wine), and savor a flavorful Espresso while enjoying the view of busy shoppers walking up and down the streets. It is well worth the time to take a guided tour of Bologna to better understand the grand history of this beautiful town. I suggest you check out an association called Succede Solo a Bologna that organizes walking tours of the old Medieval city center (Via San Petronio Vecchio 15, Bologna Center – Tele: +39.051.226.934 – http://www.succedesoloabologna.it – email: info@succedesoloabologna.it). Best time to visit: Bologna is most pleasant April through October, although July and August are best to avoid because of intense heat and humidity, and too many tourists coming and going. Bologna was – still is – very much Italian, catering to Bolognesi and their needs. You will experience the city’s genuine and authentic food and service offerings when there are fewer visitors around and prices are cheaper. In conclusion, I hope this little guide post about my wonderful city of Bologna can help you find some hidden and not-so-hidden treasures. Make no mistake about it: Bologna has much to offer. Buon Viaggio! Or like we say in Bologna, bån viáz! Ciao Roberto — great write-up on Bologna, thanks for sharing! 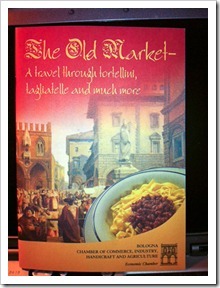 A few years ago I spent 3 days exploring Emlia-Romagna after the annual Vinitaly show and made Modena my home base. I had a wonderful time wandering through the narrow centro storico streets of Bologna, Modena and Parma — each town had its own unique history and culture to experience, and I encourage people to visit all 3 if they have time while in the area. 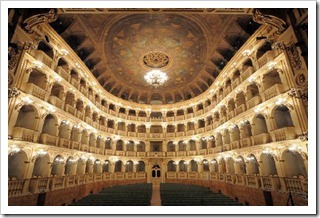 Do you have any recommendations for top things to see/do in Modena & Parma? I particularly enjoyed the centro storico of Modena, but I’d enjoy hearing your thoughts. This is great info! We are putting together a November trip. One week in La Morra for truffles! 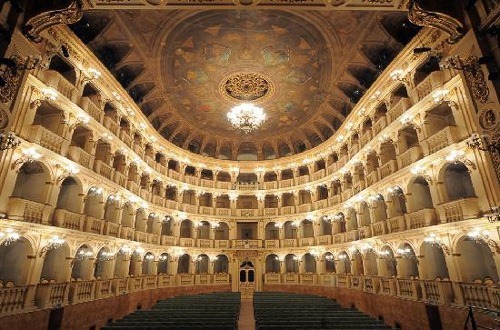 Then onto Emilia for 4 nights was looking at 1 in Parma and 3 in Bologna!!! Any suggestions on this would be appreciated! Hotels and restaurants sights to see! We would drive to Bologna and drop the car off. Take public transportation into centro if we stay outside of town. We did this a few years ago and it worked out great. Then we plan on heading to Milano for 2 nights by train.Never been so this would be a new experience. Any hotels and restaurants recs? ?